After PED Change on Science Standards, What Now? 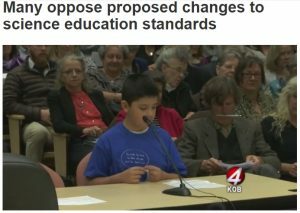 After a tumultuous hearing in Santa Fe on October 16th, 2017, NM's Public Education Department has apparently reversed its deletion of topics including evolution, the age of the earth, and climate change from proposed state science standards. 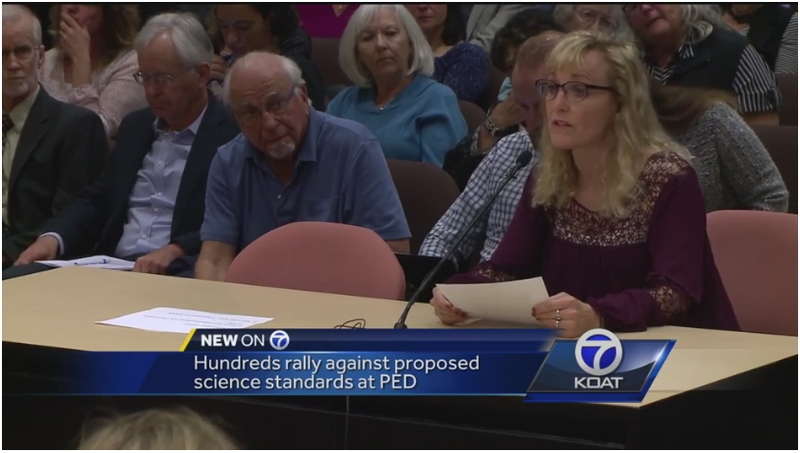 While the PED has announced that it will include the complete Next Gen Science Standards (NGSS), some concern remains over the exact nature and wording of six remaining New Mexico-specific additions to the NGSS. 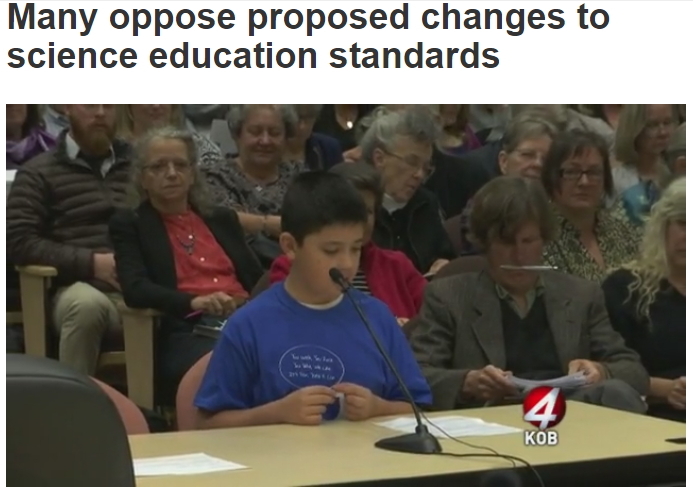 Meanwhile, new concerns are being raised about omissions in history standards, according to the Santa Fe Reporter: "Not Done Yet: As New Mexico's Public Education Department promises new science standards, it quietly guts history and health requirements." 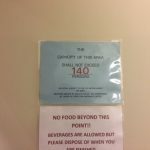 Several CESE board members spoke at the October 16th hearing. 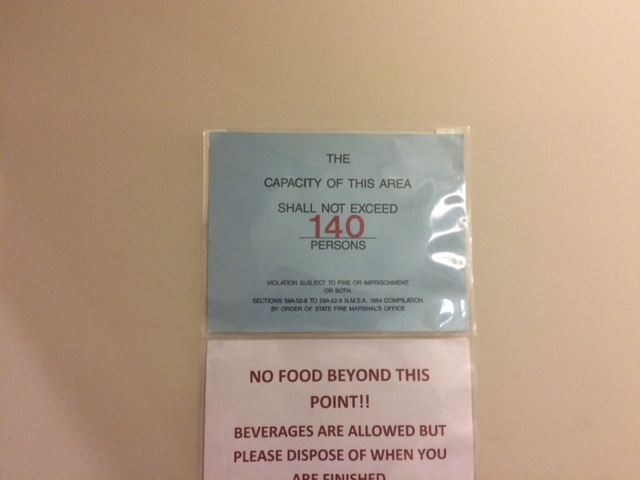 The hearing room was packed, and many were turned away for lack of room. Sen. William Soules, D.-Las Cr uces, is calling for a public hearing on whether the PED's science standards process violated open-meetings laws. On October 19th, CESE secretary Dave Thomas had an op-ed in Socorro's El Defensor Chieftain, titled "Why does PED want to weaken public school science standards?" Dave was also quoted at length in an October 13th Santa Fe New Mexican piece on a pre-hearing Teach-In in Santa Fe, "Teach-in’ uses facts, humor to challenge science standards". 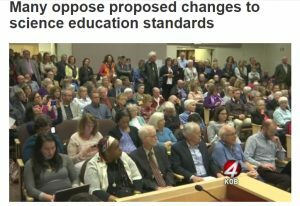 CESE Treasurer Steve Brügge authored a guest column in the October 22nd, 2017 Albuquerque Journal, titled "Science standards don’t need New Mexico-only additions." Steve also had a letter in the October 24th Santa Fe New Mexican, "Showing Up." 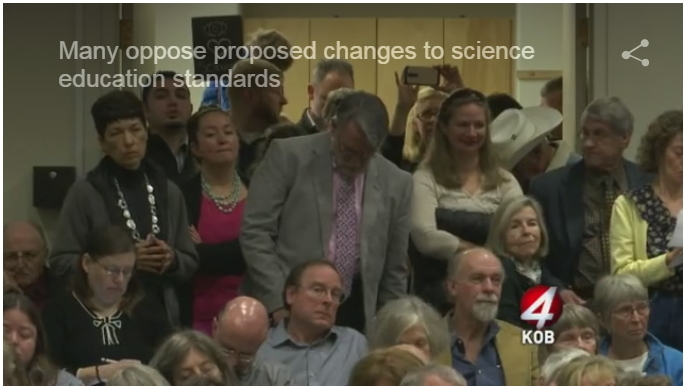 "The whole concept of changing the Next Generation Standards is silly,” said Kim Johnson, a physicist and former president of the New Mexico Academy of Science. “For goodness sakes, please do not mess with science.” Johnson said Wednesday that PED’s new proposal still omits valuable information, such as a lesson comparing embryos from different species and a framework that provides teachers with guidance for their instruction.."
The next step is to see exactly what PED changes remain in the NGSS standards. Stay tuned for further reports!